April 3, 2013  The embassy tweeted a link to Stewart's monologue mocking Egyptian President Mohammed Morsi. The tweet offended the Egyptians, so the embassy deleted its entire Twitter account. It then restored the feed without the offending tweet. 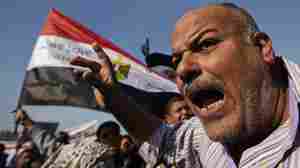 November 30, 2012  Early Friday, Islamists approved a draft that critics are calling the "Muslim Brotherhood constitution." 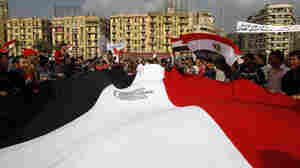 Protesters are also rallying against President Mohammed Morsi's decree giving him sweeping new powers. November 22, 2011  Authorities accuse them of tossing Molotov cocktails. American officials are working to get them released. 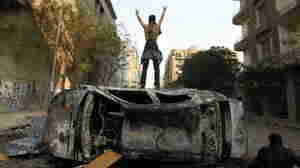 November 21, 2011  The protesters who have flooded into Tahrir Square again say the new leaders are the same as the old leaders. November 21, 2011  A morgue official tells The Associated Press that more than 20 people have been killed. The protests against military rule and authorities' crackdown have raised questions about whether elections will be held on time. Officials vow they will. 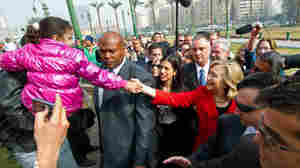 March 16, 2011  "To see where this revolution happened and all that it has meant to the world is extraordinary for me," the U.S. secretary of state added. February 9, 2011  "There are people who are listening to music, there are people who are chanting, there are people who are selling popcorn," says NPR's JJ Sutherland in an audio report from the scene. November 20, 2007  Hookahs, Genies, and Cairo... what more could you want in a comic book? We talk with G. Willow Wilson about Cairo: a graphic novel.